I am gathering inspirational photos of outdoor spaces and this is by far my favorite. 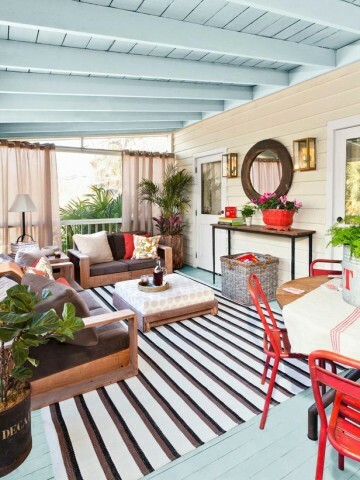 I love EVERYTHING about this porch featured on HGTV’s website. The mix of colors, the velvet and teak outdoor sofas, the selection of accessories. Since moving into our new home we have replaced the siding and most of the windows. The deck is still in really poor condition. This photo inspires me to get a move on it. This is so my style!